What are Good Dialysis Diet Foods to Eat? Struvite stones are one of the most common bladder stones in dogs and cats. They typically form because of urinary changes that happen when bladder infections occur. However, according to veterinarians at the Marva Vista Animal Clinic in Los Angeles, struvite crystals require an alkaline pH in order to form; they cannot form in acidic urine. So keeping your pet’s urine slightly acidic by feeding him the proper diet will prevent the formation of struvite crystals. In many cases a cat or dog with struvite crystals will be prescribed a special diet by the veterinarian. Don’t give your pet high-oxalate foods such as beet greens, rhubarb, spinach, beets, raw endive, dandelion greens, okra, kale and sweet potatoes. 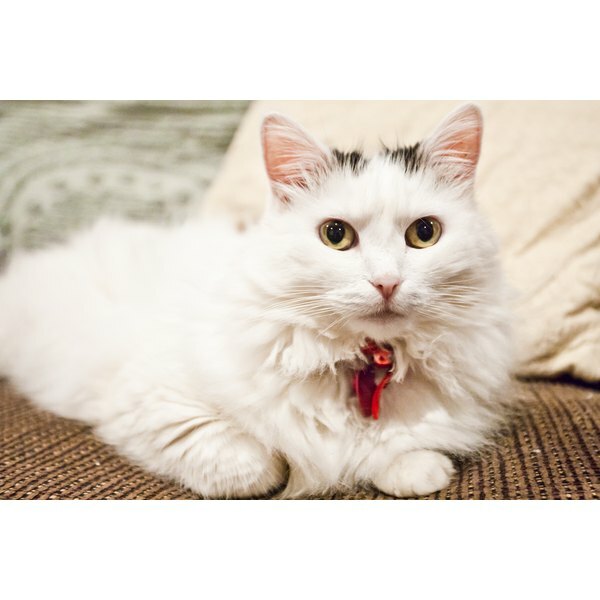 Calcium oxalate crystals can also form in the bladder causing problems for your pet. They tend to affect more males than females. Increase your cat's or dog’s water intake. The less concentrated the urine, the less likely struvite crystals will form. Feed your pet an acidic diet with animal-based protein sources. This will help to maintain the acid in your pet's urine that is necessary to avoid the buildup of struvite crystals. Avoid a diet that is vegetarian or cereal-based and likely to cause alkaline urine, which promotes struvite crystals. Instead, you should feed your pet acidic foods such as chicken, beef, eggs, fish, pork, cottage cheese, yogurt, rice (brown and white), beans, nuts, and seafood.